I have been a bit quiet this week on my blog, but that doesn't mean I haven't been busy behind the scenes. :) Working on some upcoming releases. 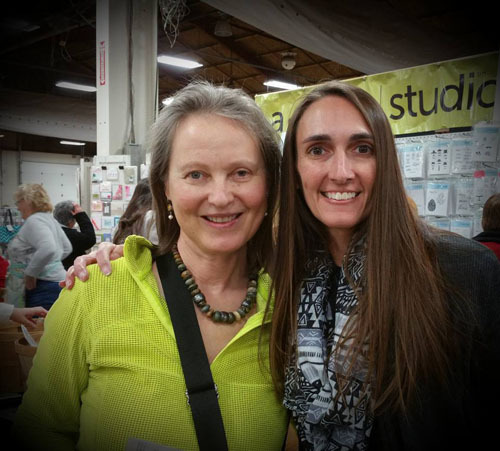 I also went away last Sunday to the Heirloom's Allentown Rubber Stamp & Paper Arts Festival in PA. I met up with some StampNation friends and was lucky enough to meet Cornelia from Stemple Spass. It is always so much fun meeting bloggy friends in real life. 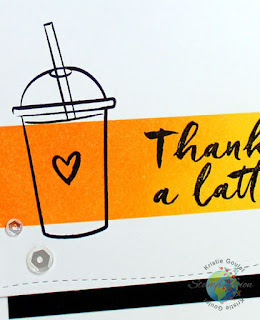 My card for today is for Papertrey Ink's Make it Monday: Color Isolation. This was fun. I stamped the feather using Soft Stone ink then die cut one and colored it using Zig Markers using the colors over at ColourQ. I also posted my most recent Trends Article on StampNation today. 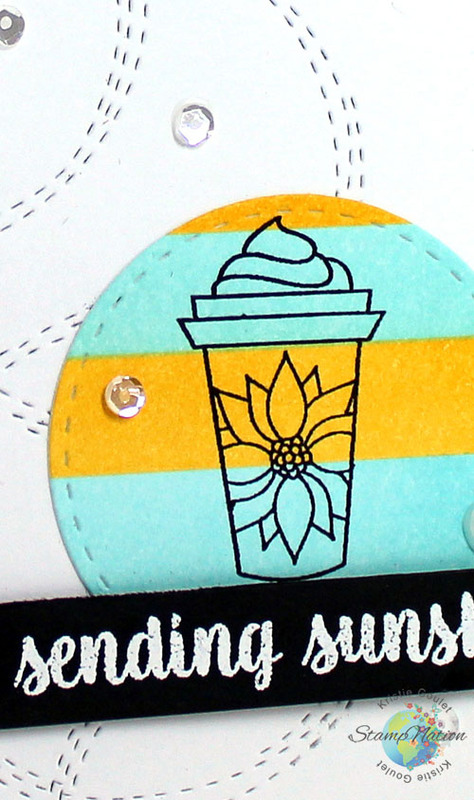 Here is a peek at one of my cards. Members can view the article HERE. Such a wonderful take on this week's PTI technique challenge. Ooh, I love how you stamped the feather images in Soft Stone first. I love the subtle look and then POP! there's a colorful feather to see! 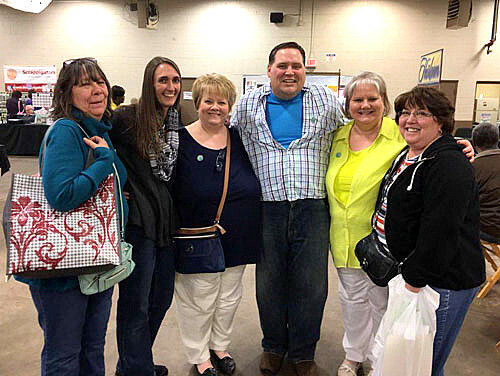 If is always fun to meet up with bloggy friends. Your feather is just perfect and your card perfectly CAS. Thank you for sharing with us at the colourQ this week! So fun to gather with crafty peeps! Your feather card is beautiful! Lovely design on your CAS card. Cute card. I love the feather, the sentiment and all the white space. Great job. Who would have thought that I find myself over here, LOL! Great pics! And a fabulous card!!! Love what you do with that pretty feather! And congrats on being featured at CASE this Sketch - I knew it was was winner card when I saw it! Love your card Kristie. Thanks for sharing the photos. Stunning Kristie! Love that bold pop of colour against the neutral backdrop. So bright and happy. A wonderful, CAS card and way to use our colors this week. WOW - love that soft feathering in the background - such a beauty next to that pop. Really wonderful card my friend! :) Loved those get togethers - used to do it all the time in the NE with scrapbooking shows and online friends....so much fun!!! Another amazing card Kristie! Looks like you had a blast catching up, I met some teamies myself last week and it's like meeting long lost old friends, Loved it! How fun, Kristie! I love your MIM card with the feather! What a striking card Kristie - love your take on the technique. ooooh! love this!! I used the feather too on my MIM this week. Loving this great stamp and especially what you did with it. Your coloring is fantastic! Gorgeous card! Love how the black & white make the brilliant colors in the feather pop! Totally swooning over all the glorious white space! Great coloring! Very creative. Thanks for sharing the great pics! I was there last week too. My fourth time attending the Heirloom show. Wish I knew that you were there. I would have tried to say hello. 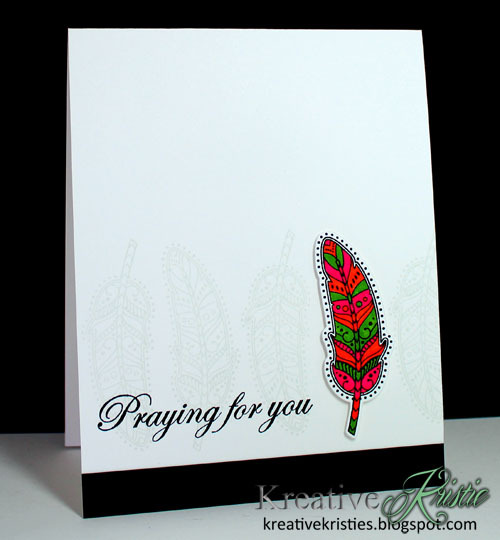 Kristie, That sympathy card is gorgeous... and they are not easy cards to make. Well done!